Seafile is a private cloud such as Dropbox, mega.co.nz and others. 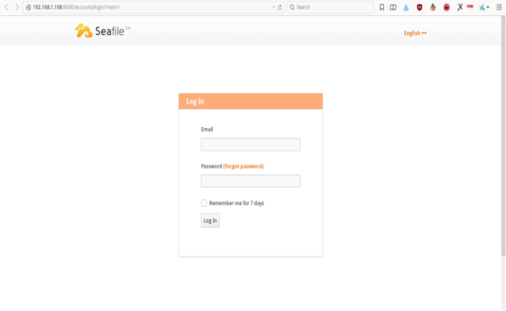 Seafile is based on python and it is open source, so that you can create your own private cloud and it will be much more secure. Seafile supports encryption libraries that make your data will be more secure. To encrypt files in a library, you need to set a password when you create the library. 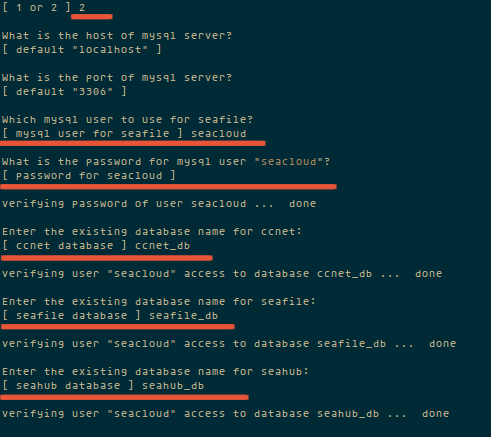 The password won't be stored on Seafile cloud. So even the adminastrator of the servers cannot view your encrypted data without the password. 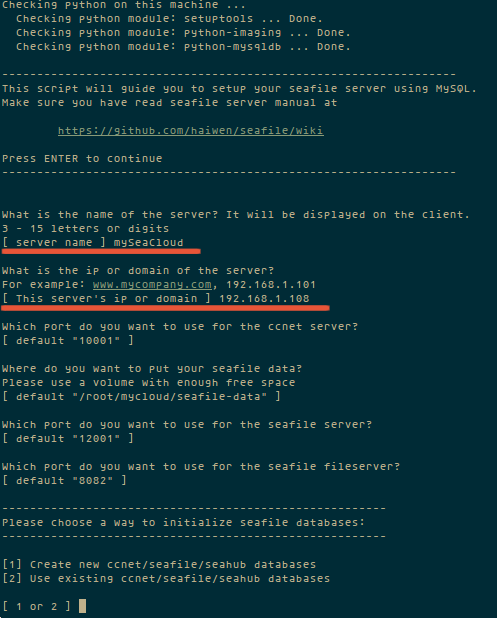 This tutorial shows the installation of Seafile on Ubuntu 15.04. Seafile can be downloaded from the official site, please download according to your needs. Here I use Ubuntu 15.04 64-bit. 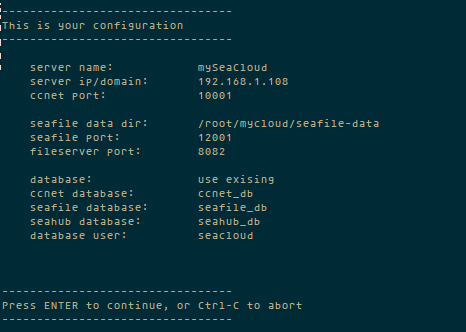 So the directory for the installation of seafile is /root/mycloud/. Now please login to your mysql, create one user and grant to the databases. Please go to the installation directory seafile. Once the file seafile-server_4.1.2_x8664.tar.gz been extracted will appear a directory seafile-server-4.1.2. Than you will be ask too about the database. You can choose number 2 ,because you have created a user and database. And in the end you just need to press Enter to confirm all configuration you have beed set up. 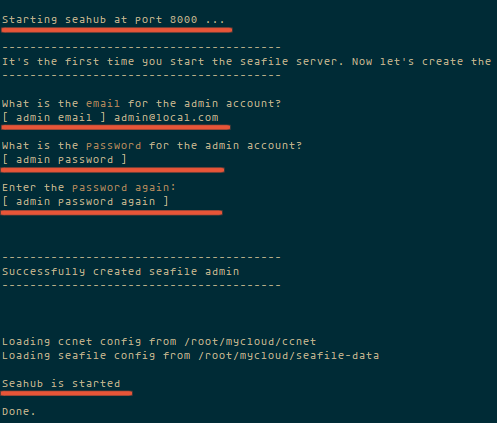 Now all is done and lets start it by running seafile.sh and seahub.sh. and fill your email and password. Open your browser 192.168.1.108:8000 and try to login with your admin account. With the wide variety of cloud applications today, Seafile is a private cloud solution that is good for use on this day. With the encryption feature at the library/folder, you can make the data more secure. And also ease to configure it, make it easy to implement in your server. Very nice tutorial ! I could deploy my Seafile client on my VPS within a few minutes despite I am a total neewbie on this kind of matter. Thanks a lot !